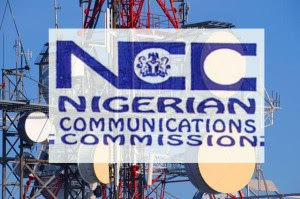 The Nigerian Communications Commission (NCC) has concluded plans to ensure the implementation of national roaming agreements among Nigerian mobile telecommunications networks as consultations are ongoing over appropriate legal and regulatory framework with relevant stakeholders in the industry. When the national roaming regime is finally enthroned, a subscriber of one network without signal will automatically be handed over to another network which has signal in the state, town or village. so long one has a mobile phone you will always get network anywhere one found him/herself. The telecom regulator has come out with a consultation paper on national mobile roaming which will guide the stakeholders to make contributions towards the final document. National Mobile Roaming is a feature in several communication licences but it has not yet been utilized in Nigeria. National mobile roaming is the ability of a cellular customer to automatically make and receive voice calls, send and receive data, or access other services, including data services, when travelling outside the coverage area of the home network, by means of using a visited network. NCC believes a national roaming agreement effectively multiply a carrier’s ability to cover those areas where they do not have the presence of their own network, without actually having to deploy infrastructure. Prior agreement between operators enables the subscribers to roam into another network in case the home network is not available. Prof Umar Danbatta, executive vice chairman/CEO, NCC said even though it is technically possible to provide facility for domestic roaming, appropriate legal and regulatory framework have to be in place in order to encourage as well as assist the operators in realising roaming arrangement between them without any uncertainty. “There is need to ensure that the policies, rules and regulation to be adopted regarding national roaming are formulated in detailed discussion with the operators as they are the main entities responsible for the successful implementation of the domestic roaming facility” Danbatta said.